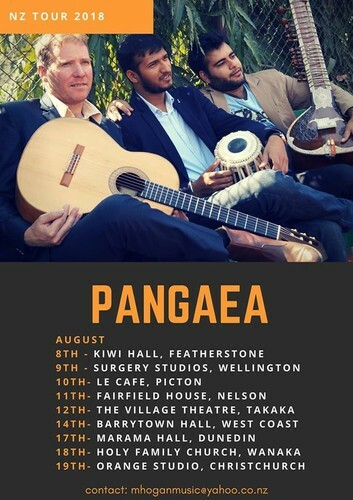 Pangaea, a musical trio based in New Delhi India, will be visiting New Zealand for a nine-date tour between the 7th and 20th of August. The three musicians first met in New Delhi in October 2017 and very quickly developed a rapport. The continued development of their sound led composer Mike Hogan to create a body of new songs which they began performing at festivals, private functions, and local venues in and around Delhi. The group has received a large amount of positive feedback and encouragement from these public performances, most especially from the close knit musical community in New Delhi, which has been very excited with the potential for this kind of fusion to help develop the musical horizons of young performers and help bring further understanding of the beauty of these respective traditions to the public.